It’s the Friday before Christmas. Do you know where your boyfriend/husband/man in your life is right now? Well, chances are, he’s not buying a gift for you at this moment. Because he’ll probably wait until 5pm on Christmas Eve. Which is okay, because we’re guessing you haven’t bought a gift for your guy yet either. And when we say “guy”, we know this may not be a love interest…it could be your friend whose taste is so much better than yours, you’re really at a loss regarding what to get him. We get it. Fortunately, in our opinion, men are pretty black and white most of the time. So we’ve consolidated our HEUCY Dudes’ recommendations for great guy gifts, and are presenting the “Top 5” to you in very black and white terms. Happy shopping! 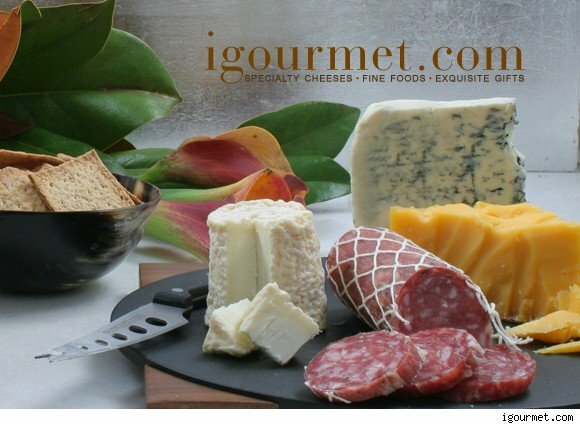 iGourmet has an incredibly wide and delicious selection of gourmet food (including over 800 cheeses! ), holiday gift baskets and “of-the-month” clubs. My sister gave this to my dad last year, and I think she “won” in the gifting category. Not like we compete, or anything like that. PS, if you love coffee and dairy as much as we do, and you live with your man — you’ll definitely want to get an iGourmet gift. It will be a win/win. Orders placed by 3pm on Monday, December 22nd will get there by Christmas! Hurray. 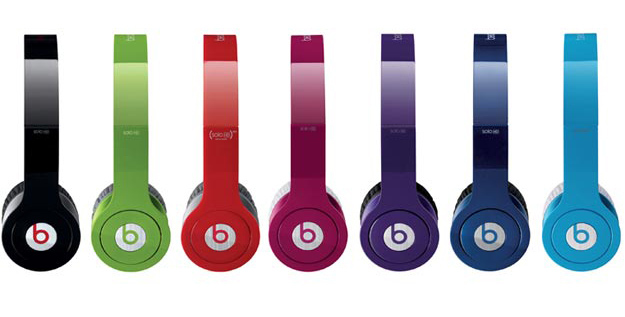 Beats by Dre headphones look super-cool and they work. The pill-shaped speakers also look great in any home. 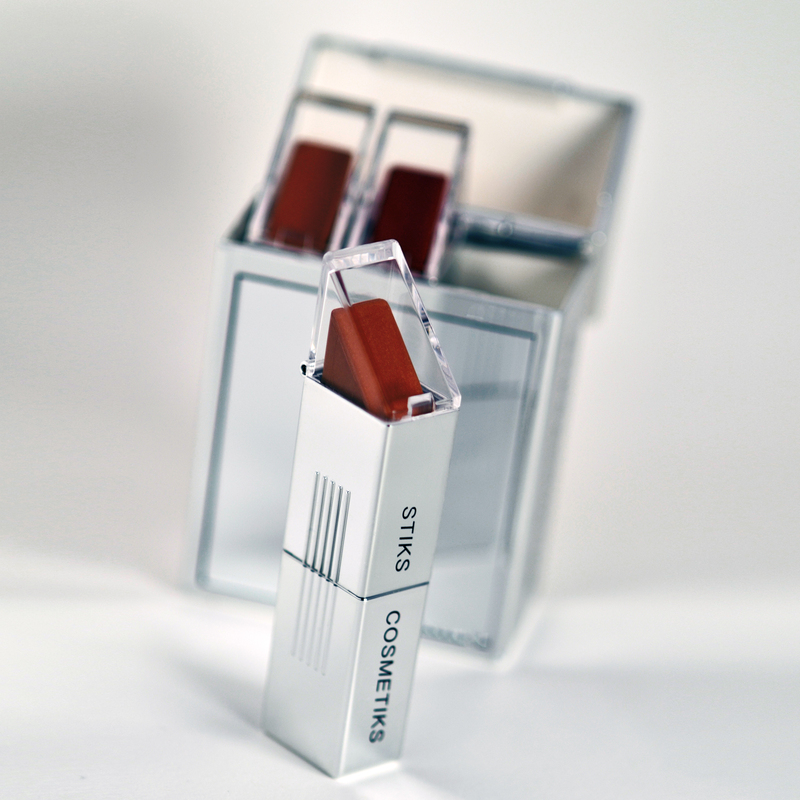 A high quality product that looks good too. Yep, we’re into it. Have you lost track of the number of sweaters your guy owns? And you’re sick of looking at his stack of college fraternity t-shirts? So let’s move into accessories. 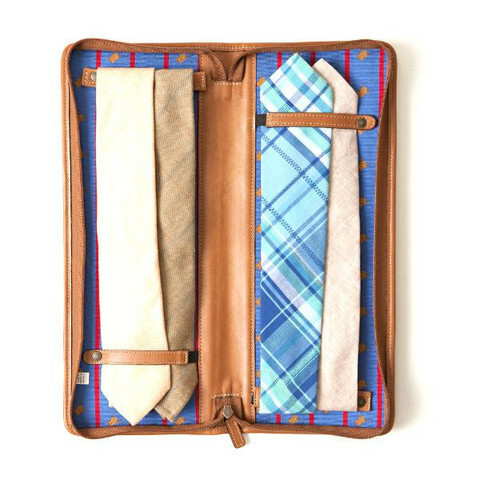 We love Pierrepont Hicks ties – everything is made in the USA, and the company is owned by one of our fave couples — and Northern Grade visionaries — Mac and Katherine McMillan. HEUCY Gal Alice’s husband Jay gave Pinhook Bourbon to us a few months back, and we’re hooked. Not in a bad way, of course. But with temps dropping and the holidays upon us, the idea of a nice glass of bourbon (in the evening, of course) sounds pretty darn good right about now. 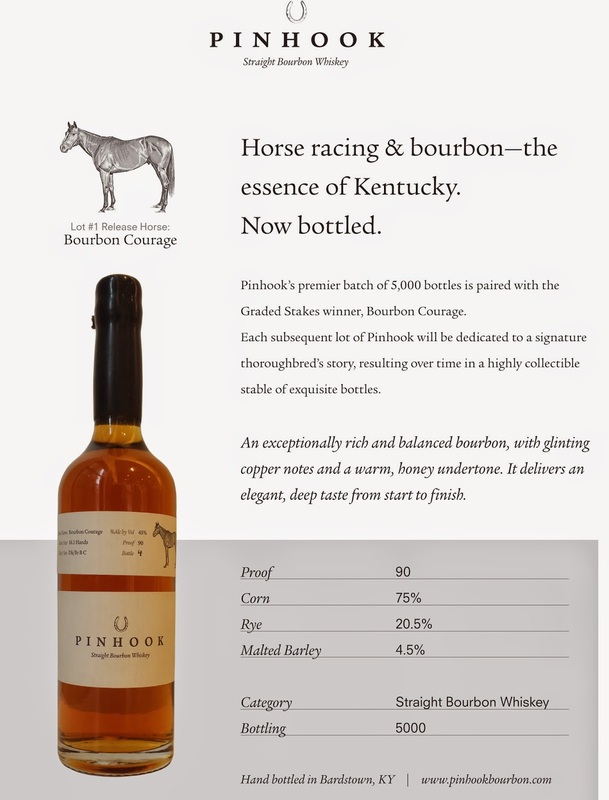 We’re particularly fond of Pinhook’s Bourbon Courage. Nuff said. Yes, this is a “traditional” gift that is usually deemed thoughtful by the recipient. Our friend Page Sargisson makes gorgeous cufflinks. Right here in the USA. And you can buy them on her website. 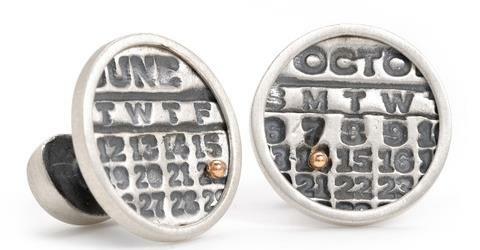 We love Page’s Calendar letterpress cufflinks because you can pick two different dates: wedding anniversary, father’s day, his birthday, your birthday…And therefore remind your husband of important dates. Without actually having to remind him. Northern Grade & Weatherproof Gear…A Good Tip! We had the absolute pleasure of being part of Northern Grade HER this past weekend, and met a lot of brands you should know about. A little bit of background: Northern Grade was started by HEUCY Gal Katherine McMillan (our new girl crush) and her awesome husband Mac, in 2001, as a way to curate and highlight what they feel is the very best in design and quality manufactured in America, across all categories: menswear, women’s, home goods, children, food, spirits, coffee and music. Fortunately, Katherine and Mac have really good taste…so all of the brands we met at the show were really cool. And the people behind them are dynamic, friendly and inspiring. This week and next, we’ll be highlighting some of the people and products that we discovered at the show…that also might fit into your holiday gifting plans! (That’s right, Chanukah, Christmas and Kwanzaa are upon us, so it’s time to get moving). Since there was/is a Nor’easter attacking us from all sides (I mean, really, sky?? 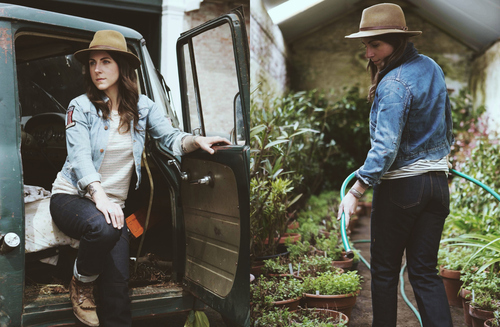 )…we felt it appropriate to first highlight a genius brand called Cleverhood. 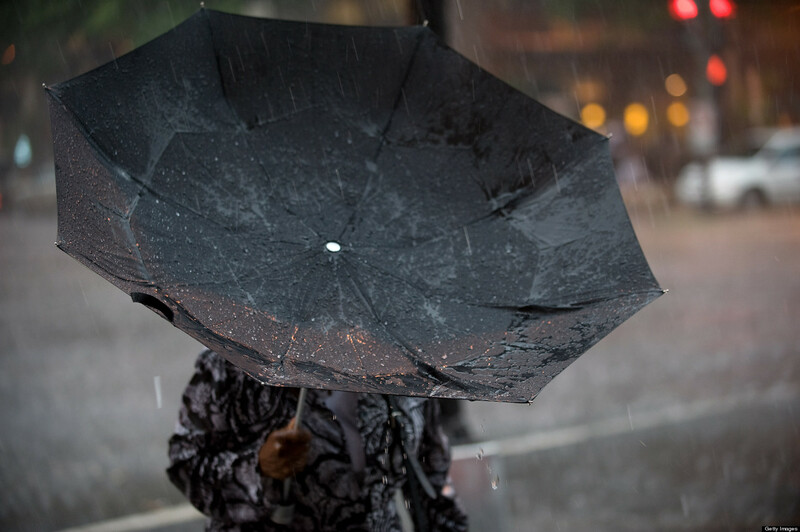 Cleverhood was started by Susan Mocarski, who created the ‘hood as a practical and chic way to get out and about in the rain. Susan windsurfs at Fogland, has three kids, three dogs and one husband. 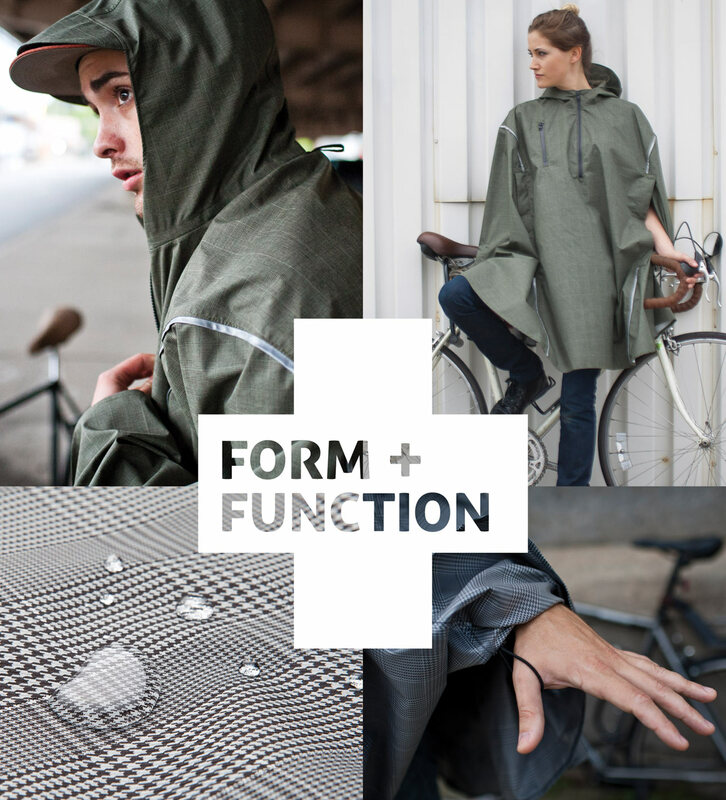 So she clearly knows what it’s like to need functional clothing. This cape is made for people who are on the go, but who don’t want to sacrifice style — so i’s it is very HEUCY-esque. We love. Ironically, the first day of our Northern Grade show was a complete deluge. This photo sort of sums it up. Susan ended up selling lots of capes to vendors at the show! 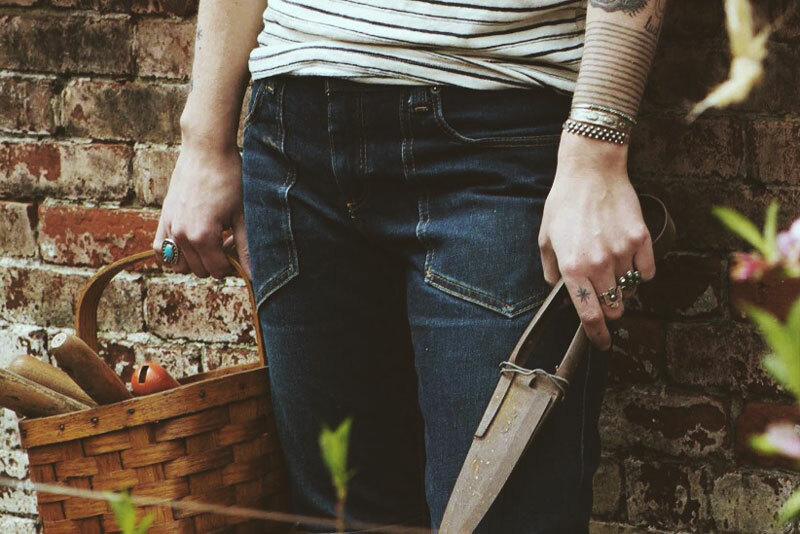 We’ll be in touch with more fabulous finds from Northern Grade! All USA-made, creative and original. 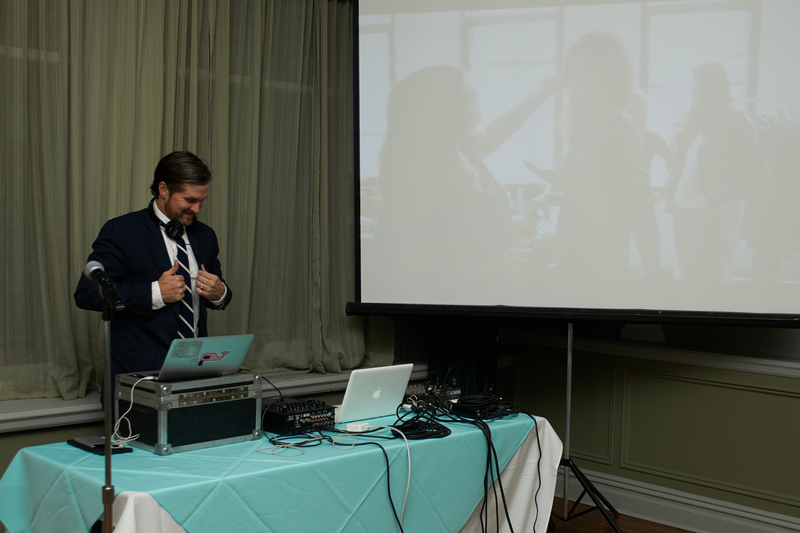 Thanks, Katherine and Mac, for introducing us to some really cool brands. We’re looking forward to the next show. 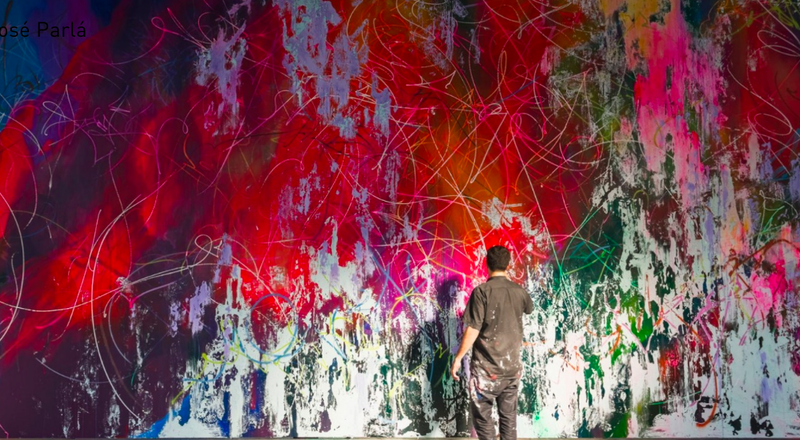 Art Basel is “happening” right now in Miami. 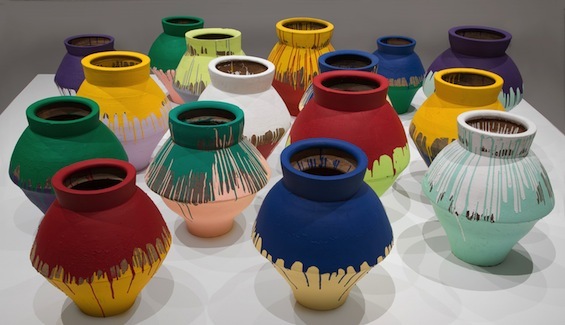 Wealthy people and art insiders are shmoozing, viewing and experiencing the latest creativity (like these Ai Weiwei colored vases) in a warm, sunny location at this very moment. If you’re a real person, like us, and you’re sitting in front of your computer washing a sandwich down with some cold coffee (i.e. not lounging by the pool at the Mondrian South Beach), then it is good to know that art — good art, actually — is more accessible than ever, via the Internets. That’s right. We’ve picked three of our favorite websites to find original art that might suit your fancy. 1. UGallery — This is a great resource for people who aren’t sure what kind of art to buy for their homes. UGallery has an extensive collection of art, guest curators and room ideas. There is also a wedding & gift registry for people who’d like to receive artwork instead of a Kitchen Aid appliance (that will be used once a year, during the holidays). Sort of brilliant. 2. Tiny Showcase — Every Tuesday, Tiny Showcase releases a limited edition of affordable art. A portion of the proceeds is then donated to a charity chosen by the featured artist. $100,000 has been raised so far to support a variety of causes. So you can buy art and feel good about it. Really good. 3. Minted — Okay, we know you probably think of “holiday cards” when you think of Minted. But the site has a pretty great selection of original artwork, in its Art Marketplace. The limited edition photography is particularly good, in our opinion. Talk about multi-tasking: you can get your cards done and buy a nice print for a loved one. Bought and shipped on the same day, same site. Easy peasy. Lastly, HEUCY Gal Christina says her favorite piece of art in her home is by an artist named Jose Parla.